In letters to the Spanish crown, Cortez reported that teams of Aztec relay runners could carry information 260 miles in less than a day. This speed was unheard of in Europe. The Aztecs believed that one strange food made their runners faster than any others. They harvested spirulina algae from Lake Texcoco and baked it into cakes to nourish their couriers. Now, a new study confirms that the Aztec warrior food has profound cardiovascular effects. Spirulina has long been considered a “superfood.” It contains large amounts of iron, protein, calcium, magnesium, and other important nutrients. It’s reputed to help control blood sugar, fight chronic inflammation, protect against cancer, and lower blood pressure. Researchers from several Italian medical institutions decided to put that last idea to the test. There was a 2016 study from Poland’s University of Medical Sciences that found spirulina reduces high blood pressure and aids weight loss. For the new study, researchers wanted to find out how the algae produces this effect. To do this, they experimented on mouse arteries. They found that spirulina contains a peptide called SP6 that prompts the release of nitric oxide. Nitric oxide relaxes arteries, which in turn lowers blood pressure. The researchers injected SP6 into mice with hypertension. The rodents’ blood pressure dropped significantly. The study authors concluded that SP6 from spirulina could be used alongside medications to fight hypertension. 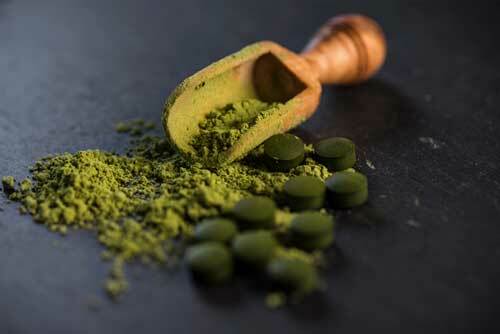 Spirulina supplements are widely available from health food stores and online retailers. They come in capsule, tablet, and powdered forms. As a powder, you can add it to smoothies, juices, or protein drinks. You can also sprinkle it on salads or in soups. Whatever form you take, the University of Maryland Medical Center recommends four to six daily portions of 500 mg each. And unlike prescription blood pressure drugs, it doesn’t have side effects. The FDA reviewed spirulina in 2014 and concluded that it has no significant side effects. Editor’s Note: If you’re worried about your heart, there’s something else you should know…There’s a powerful vitamin that can help cut your risk of heart attack by up to 33%. Learn more HERE.